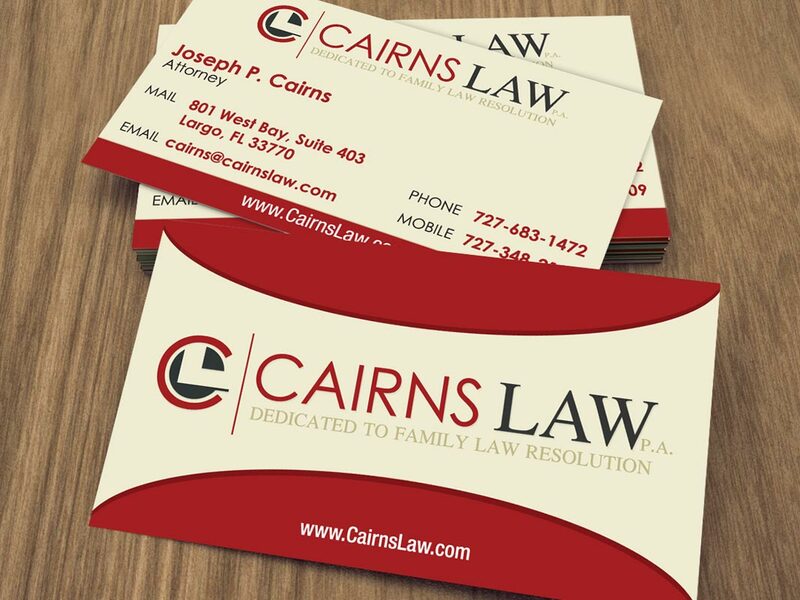 Joseph Cairns, prominent divorce attorney in Clearwater, FL came to the P3 Agency when he and his wife Jarica Cairns, Esq. were ready to leave their employers practice and head out on their own. 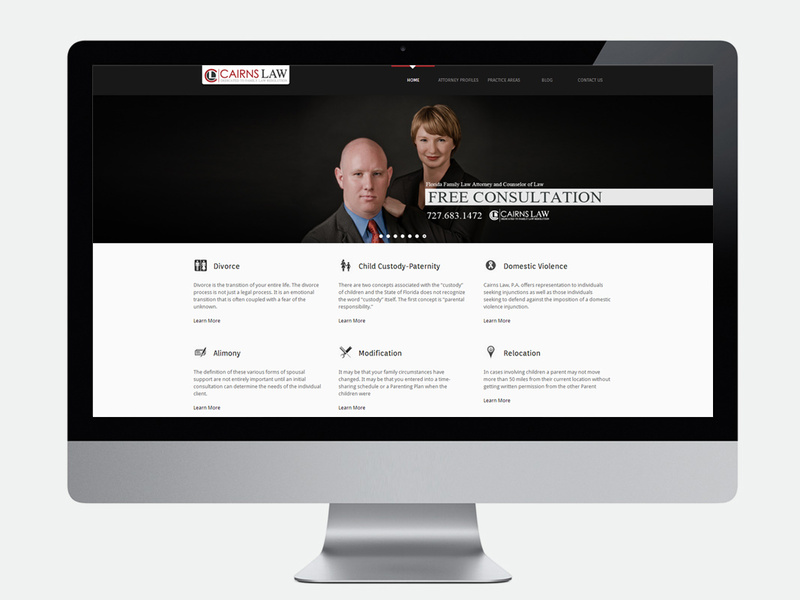 We started with a marketing consultation where we identified Joe’s best competitors, his target growth goals and what he and Jarica wanted to accomplish with the new practice. We then went to work on developing a logo and brand image Joe could be proud of. With Joe’s direction, we started with a series of designs based on his vision, and then ultimately arrived at what is his new logo today. Since he was a new start-up, once he had his new office address and phone number, it was off the races to develop new business cards for his grass roots marketing and networking efforts. While Joe got busy handing out his new cards, the design staff at P3 were putting the finishing touches on his new responsive, mobile-compatible website. After the new website was online, it was time to start his Internet Marketing & Paid Search Advertising (pay-per-click) campaigns. Joe now enjoys his independence, and the benefits that come from owning his own firm, Cairns Law.